The Xbox Game Pass is full of standout titles. Better yet, its library is constantly updated, so gamers never have to worry about running out. Earlier today, Microsoft announced the next batch of games that will grace the Xbox Game Pass. While they won’t release all at once, they cover a broad spectrum of genres, and odds are gamers will gravitate towards at least one of these titles. Starting March 21st, Xbox Game Pass subscribers can play Deus Ex: Mankind Divided and What Remains of Edith Finch. 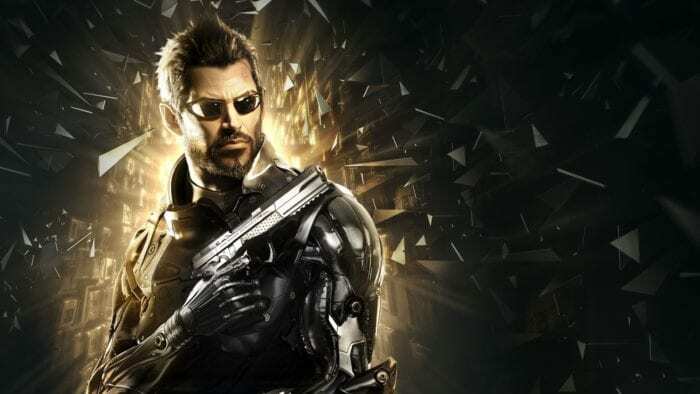 The sequel to Deus Ex: Human Revolution (and prequel to the original Deus Ex), Mankind Divided puts players once again into the shoes and trench coat of Adam Jensen as they discover new abilities and expose worldwide conspiracies in a fantastically realized cyberpunk RPG world. More importantly, Deus Ex: Mankind Divided provides tons of replay value thanks to various in-game choices that affect the story. What Remains of Edith Finch, on the other hand, is the archetypal walking simulator. While this linear game is extremely short and features little replay value, What Remains of Edith Finch’s story transforms the title into a digital novel that will please anyone who loves a good mystery. On March 28th, Microsoft will add The Walking Dead: Michonne and Vampyr to the Xbox Game Pass. Telltale Games’ The Walking Dead franchise needs no introduction, as it is the most popular series developed by the studio. While the final chapter of the series is a subject of controversy, Michonne is a stellar spin-off that follows the typical Telltale Games branching narrative game design and lets players experience a life in the zombie apocalyptic day of everyone’s favorite Walking Dead swordmaster. Meanwhile, Vampyr focuses on the other popular undead monster: mummies. No, not really. As the title suggests, Vampyr is an action RPG where players control a vampire doctor during the 1918 influenza pandemic. While Vampyr’s combat has hints of Bloodborne, the game focuses on the NPCs and how drinking their blood affects the game world and the main character. Vampyr actually makes players feel like a cursed creature of the night who clings to what little humanity he has left. The next game on Xbox Game Pass, Operencia: The Stolen Sun, isn’t out yet. An old-school turn-based RPG inspired by classic European mythology, this game will release March 29th on the Xbox One. While gamers can purchase Operencia: The Stolen Sun, it will also be available through Xbox Game Pass upon release. The final game on the list, Marvel vs. Capcom: Infinite, will be available through the Xbox Game Pass on April 1st. The game might have replaced the classic 3v3 combat system with a “2v2+1 Infinity Stone” mechanic, but Marvel vs. Capcom: Infinite is still the same combo-heavy, crossover heaven fighting game we all know and love. For more news on Xbox Game Pass, stay with Twinfinite.